For this season of my life, God has me seeking Him on His will for my life. He hasn’t revealed it in whole, but in small glimpses. Such as, possibly, a non-profit cafe ministry. Or, for instance, right now, I have decided that I am going to be on the leadership team of our young adult ministry. I decided to read up on the New Testament to see what the great evangelist, Paul, told young newbie, Timothy. Two lessons stick out the most. One is gossip, which Paul mentions so many times, it can’t go without note. The second thing, and the one I will mention today, is our gifts. 1 Timothy 4:14- Do not neglect your gift, which was given you through prophecy when the body of elders laid their hands on you. 2 Timothy 1:6- For this reason I remind you to fan into flame the gift of God, which is in you through the laying on of my hands. Simplified: Know your gift, use your gift, start a fire. Most of us know the story of “The Talents” in Matthew 25. A king gives three servants 5, 2, and 1 bag of gold respectively. The ones with 5 and 2 doubled their amount for the king, but the man with 1 buried his. While this story is talking about money, we can use the story for our own talents, time, money, etc. Basically, Jesus is asking us, “What will you do for me while I am away?” At the end, will it be “well done” or “depart from me, I never knew you”? There’s one last thing that I want to mention about Paul’s letter to Timothy. 1 Timothy 4:15, 16- Be diligent in these matters; give yourself wholly to them, so that everyone may see your progress. Watch your life and doctrine closely. Persevere in them, because if you do, you will save both yourself and your hearers. Your gifts will definitely bring you happiness, but more importantly, they will “save your hearers”. Living like Christ and using your gifts have a far greater reach, a reach that we may never see this side of Heaven. So, go on and start a fire in someone’s life today. 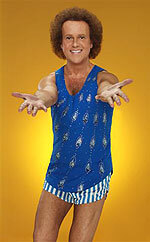 Sometimes I am the Richard Simmons of Christianity. I am on fire for God, hootin’ and hollerin’ with “Woohoos” and “Amens”. Then, suddenly, my fire is snuffed out and I am boring, ole me once again. It’s very frustrating. I love the joy, boldness, and courage I have when I’m on fire for God. So, why does the fire go out? This is not necessarily any fault of my own nor God’s for that matter. There’s not any sin or disobedience. I know, because I checked with Him. So, for a week, I wander around asking, “Where are you God? I don’t feel you. I don’t sense you.” And all of a sudden I’m struck with doubt. Like David, I know the truth in God’s word. I know He will never leave me nor forsake me. I know he’s there just as before. However, I think there are times when God wants to force us past emotions. He wants us to get to the point where we trust Him no matter what, no matter how we feel. God is bigger than our emotions. If we struggle to converse with Him when we don’t “feel” Him, how are we ever going to stay near to Him when the storms really hit hard? The key to overcoming feelings is to continually trust God even if we don’t necessarily see, hear, or feel Him. At the end of the Psalm David says, “5 But I have trusted in Your lovingkindness; My heart shall rejoice in Your salvation. Because of Christ’s ongoing love, we should never be lacking in praise or thanksgiving. Ha! Who am I that God can use me? I’ve heard this so many times before as I’m sure you have too. In actuality, there is a bit of truth to this statement. We are nothing and nobody without Christ. However, with Him, we are the perfect specimen, if we are willing to be used by a perfect God. 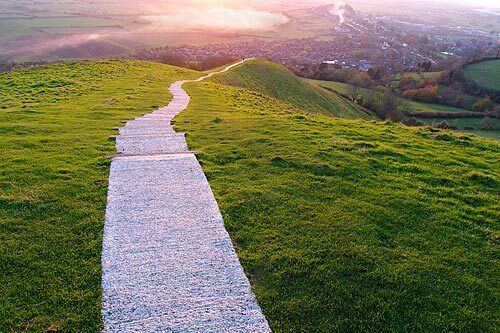 Many people look at the sins of their past and argue that God wouldn’t want to have anything to do with them, but that is just not so. God created you. He loved you. He formed you in your mother’s womb. He knew all your sins, but more importantly, He awaits the day when He can reveal all the little treasures He has in store for you. Adam and Eve– Disobedient. Ate the fruit after being told not to and so began the wretched state of this world. Abraham- Impatient/ Doubt. Called by God to be the Father of mankind. Lay with his wife’s handmaiden and had Ishmael. Later, God’s promise is fulfilled. His wife, in her old age, had Isaac. Started a family feud that would continue into the present day. Isaac’s son Jacob– Liar. Tricked his twin brother and their father into giving him the birthright and blessing of the first born. Rahab the prostitute. Mother of Ruth. Solomon– Selfish/ Married Foreigners. At one time was the wisest and richest man in the world. Mary, Mother of Jesus- Unmarried and pregnant (by the Holy Spirit, of course). One would believe that Jesus would descend from a lineage of pristine perfection. But He didn’t. He came in the line of regular people whom God used to do extraordinary things despite their very human flaws. I may not be a control freak, but I do like to know what’s going on and this is something I ask God a lot. He just reminds me that He has a plan for me and that His ways aren’t always my ways. This doesn’t always pacify my burning curiosity as to what He is going to do next. But I soon get over it and get on with my day. Sadly, I do know plenty of people that try to control how everything around them, from people to the environment, and this does it cause them countless pain. They spend all their time worrying about this or that and most of the time they have absolutely no control over many situations. They always seem to be angry and frustrated, never realizing that their suffering could be easily prevented. Time for some honesty. My biggest gripe is bad drivers. I hate when people speed through school zones. I am exasperated by drivers who don’t use a signal while turning or changing lanes. Sometimes, I still shout out “idiot,” but God quickly reminds me that said “idiot” is His child too. Sorry, God. Sorry, bad driver. But really? Why am I so angry? What could I possibly do? Unless, I become a police and pull people over all day long, there is nothing I can do. Sure, I have every right to be upset; It is my safety at stake. But, should I allow circumstances that are out of my control ruin my witness, or ruin the day God has made for me to enjoy? Thankfully, the Lord says in 1 Peter 5:7- “casting all your care upon Him, for He cares for you” (NKJV). Your demanding boss, your gossiping co-workers, they may not care too much about your feelings, but God does. Anger and all, He wants us to come to Him. He knows that if we will just lose control and allow Him to take over our lives we will have peace and joy. Jesus came so that we “may have life and have it more abundantly” (Jn 10:10). Give God control; surrender to Him and watch your world take on a life you never imagined.